I have a pull quote here: ” When Special Counsel Mueller closed his investigation last week, he almost certainly knew for about a year and a half that there was no collusion case. Indeed, the indictments that he did bring appeared to preclude the possibility that the Trump campaign conspired with the Kremlin.” These indictments that he had had nothing to do with collusion; they had nothing to do with obstruction. “Yet the investigation continued,” and went on and on and on. “The Justice Department and the special counsel made no announcement, no interim finding of no collusion, as Trump detractors continued to claim that a sitting American president might be a tool of the Putin regime,” that a sitting president might be a traitor! Mueller allowed it to happen. Mueller and Rosenstein and everybody involved with Mueller’s team allowed the perception — for over a year and a half — that the sitting president of the United States was a traitor. “[T]he president was forced to govern under a cloud of suspicion.” He can’t find a lot of people to work for him in his administration ’cause they think he’s going down. He couldn’t find Republicans in the House and Senate to support him ’cause they thought he was going down, because everybody was believing this pack of lies. And Robert Mueller — the most honorable man in Washington — could have shut this down minimum 18 months ago and didn’t. So Andy asks the question: “Why?” It’s the last word of his column. He’s asking this question rhetorically. He, of course, knows the answer why. It’s because Mueller and the special counsel team were in on this effort to railroad the president via a silent coup. It was the only way to cover up the actual crimes that had taken place in all this starting at the highest levels of the Obama administration all the way down to the FBI leadership and the Department of Justice and the counterintelligence agencies of the United States. That’s why an investigation of every damn one of those people needs to commence as soon as possible, precisely because the people “encharged” to run this investigation knew for over 18 months that the reason for the investigation wasn’t there. There wasn’t any collusion. And yet they permitted poll after poll where the American people believed 42% of the American people believe the Russians tampered with votes. This has still not been dealt with properly. 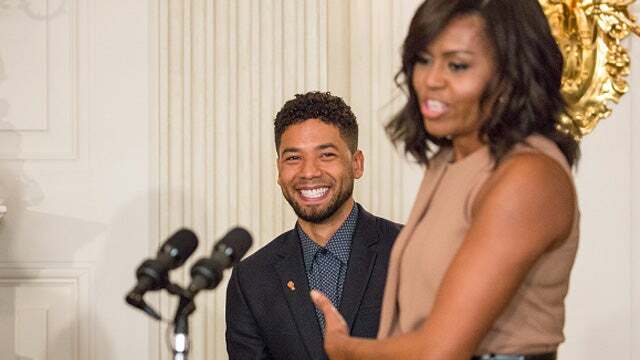 RUSH: Now, folks, have you noticed all of the outrage over the dismissal of charges against Jussie Smollett? I mean, people are really, truly outraged over this — and I don’t blame ’em. This is a travesty of justice. It has not been explained. It’s been sealed, so nobody’s gonna ever really know what happened here. There’s no question that the Chicago PD is confident that they have the goods on the guy. They say they have even more evidence than they have revealed, and they were waiting to use it at trial. There are now stories about maybe the Obamas got involved. Tina Tchen, who is a former Michelle Obama chief of staff in the White House, is a friend with the prosecutor and a friend with the sister of Smollett. People are wondering, “If the Obamas are involved in this, what in the world do they have to gain by it?” All of this grief and all of the allegations… By the way, speaking of the Obamas, has anybody seen anything about the Obamas since the Mueller report came out? Where are Barack Hussein O and Hillary Rodham Rodham and Bill Clinton? Where are they? They have gone underground. You can’t find a word from them about this at all. But back to the Obamas: What in the world would be in it for them to be associated with this, which justifiably has people really mad about a travesty of justice? Now it’s been learned that… You know what Smollett’s community service was? Ten hours working for the Reverend Jackson’s shakedown organization. I’m not makin’ it up, Dude. Jussie Smollett’s community service was doing 10 hours or 18, whatever it was, for the Reverend Jackson. That’s it! He even made a big deal about demanding his $10,000 back. But I’m gonna tell you something, folks. Whatever this is with Smollett — whatever the genuine outrage is and whatever the travesty of justice is — it does not compare with the travesty of justice that we have been witnessing with this Mueller investigation. And this entire silent coup for more than 2-1/2 years to get rid of a duly elected president, to force him from office — witch hunt, investigation, whatever you want to call it — that wasn’t even able to produce a single witch. It wasn’t even able to produce a single Russian. I have to really strive not to get shouting mad over this and what has happened, the degree of travesty. The comparison to this and what has happened with Smollett? They don’t even compare. Smollett is a speck of dust compared to the genuine constitutional outrage that we have been subjected to for the past two years. 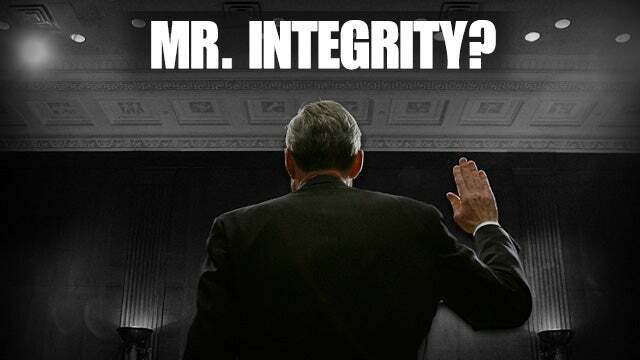 There ought to be a thousand times more outrage at Mueller, at Brennan, at Clapper, at McCabe, at Comey, at Strzok Smirk, at Lisa Page, at Bruce Ohr, at Nellie Ohr, at Hillary Clinton, at Glenn Simpson, at Christopher Steele, than there is for this prosecutor in Chicago, Kim Foxx. Our entire country… Our entire country was put on the chopping block. The counterintelligence agencies of this country turned all of their efforts inward and focused on the destruction of one man and his family and his presidency — and, by extension, everybody that voted for him and continues to support him. Whatever is involved in this Smollett business, this is a thousand times worse, and it ought to have people a thousand times more outraged and upset. Just the very audacity of this attempt — the arrogance, the conceit, the cocksure certainty that Donald Trump was not qualified as a human being to even live and work in the same town that the administrative state of Washington built and administers. What a comeuppance to have $30 million — and who knows how much the media contributed by not charging for all of the pap and all of the propaganda and all the PR they contributed to this. When you have prominent leaders in the intelligence agencies and the West Wing of the Obama White House, plus top leadership in the Department of Justice… When you have all of that arrayed against you and the unlimited amount of money you have, I don’t know who survives that. But Donald Trump has, and it was on the strength of the fact that there wasn’t any evidence. But, folks, they tried to manufacture it. They tried to create the evidence, and they got really, really close. Andrew McCabe and Peter Strzok literally attempted to have some of their informants hired by the Trump campaign. Stefan Halper applied for a job as a foreign policy analyst for the Trump campaign. He was rejected. The person he interviewed with has told the story. Sam something or other. There’s a bunch of Sams in the Trump campaign, so I’m not sure which one this one was. Other informants were attempted to be placed in the Trump campaign. Why? ‘Cause I’ll guarantee you what was gonna happen. If, for example, any of these informants had been hired, guess what they would have done? They would have immediately reached out to their counterparts, their fellow agents in the KGB (the modern-day equivalent) in Russia. They would have created this collusion. These informants would have no doubt gotten hold of their counterparts in Russia on behalf of the Trump campaign. They got damn close to pulling this off. That’s why I just about blew a gasket when I’m reading Barr’s summary of Mueller’s report and he says that the Russians made numerous attempts to infiltrate the Trump campaign but that they failed. Name the ’em! What Russians? Don’t tell me the Trump Tower meeting ’cause that was nothing about infiltrating the Trump campaign. That was a trick meeting to try to get Trump and his family interested in a piece of legislation some Russians cared about. The Russians have been undermining this country for longer than you and I have been alive. How many Russians are sitting in American universities today disguised as professors? They’ve been attempting to undermine American education and American religion for longer than you and I have been alive. The idea that they’ve been trying to tamper with the American democratic process is nothing new! What’s new is the law enforcement agencies and the counterintelligence agencies of the United States attempting to sabotage a presidential campaign. What’s new is the Democrat presidential candidate commissioning a dossier and passing it off as legitimate intel when it isn’t, when it’s a pack of lies. And then the same people using that pack of lies to get a warrant to spy on the opposing presidential campaign. That is what is new. Not Russians and what they tried to do to destabilize us. 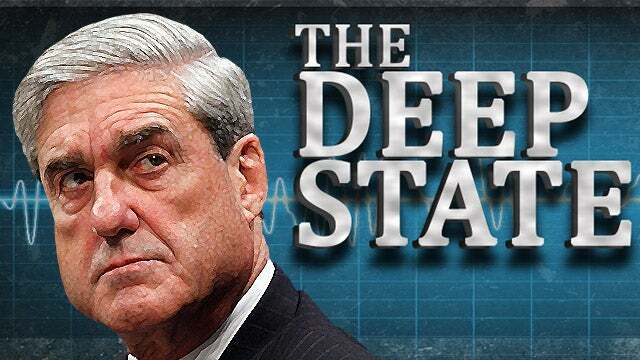 What is new is what the Democrat Party of Barack Obama and Hillary Clinton tried to do, using their associates in the intelligence apparatus and the FBI and the top levels of the Department of Justice. And the outrage over this ought to not subside for a long time. The demand to get to the bottom of this… There was a story yesterday, by the way, in the New York Post, that Trump is on the verge of declassifying everything. Do it! Declassify everything! And the next thing to do is pardon everybody — and you can use the Smollett case as the example! Although I wouldn’t do that, ’cause I don’t want the Smollett case to start a new precedent for the American legal system falling apart. We’ve had enough trouble trying to keep our political system put together without the daily assaults made on it by Clinton and Obama and all of their associates in the FBI, the CIA, the DIA, the NSA, and the Department of Homeland Security. Thank you, James Clapper. RUSH: Okay. Time to get started on the phones. We’ll do that in Owings Mills, Maryland. This is Darren, and I’m glad you called. Hi. 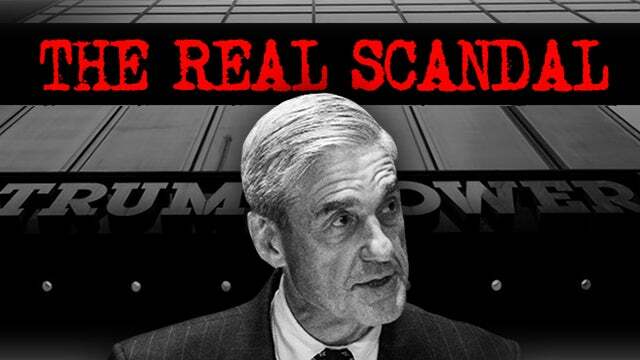 CALLER: Rush, President Trump and William Barr, the AG, need to immediately start a full and unadulterated investigation into this fake and phony Mueller investigation to unseat the president. I mean, the country deserves it. I mean, what the country stands on deserves it. I mean, we can’t say as conservatives or people who support Trump, “You know, thank God he didn’t find anything. Thank God they didn’t prove anything. We can just move on.” I mean, there was nothing to find; there was nothing to prove. This basically, what happened, was a communist tactic, what Mueller did and what the Democrats attempted to do was with a coup. That is what banana republics did. This is basically what V. N. [sic] Lenin did, what Stalin did. To use… Even to use agencies. I mean, like you said yesterday when you beautifully explained what the CIA was set up for. It was set up to combat communism. The FBI was set up to combat communism, and here you had a bunch of them — Mueller, Obama, Comey — and they were using the agencies for what communists use agencies for: To take down people that they hate, take down people they despise. America cannot stand for this. RUSH: Look, I agree with you. I agree with this on the principles that you’re espousing here, and it’s true. The CIA, the way it was sold and pitched by its founders, was on the basis of super-patriotism. It was presented on the need to protect democracy, to protect capitalism, to protect American freedom from all — and literally all — of the threats that might mount all over the world. The purpose was CIA was to be everywhere to get a heads-up on every threat — no matter how insignificant or how real — so that we would know. 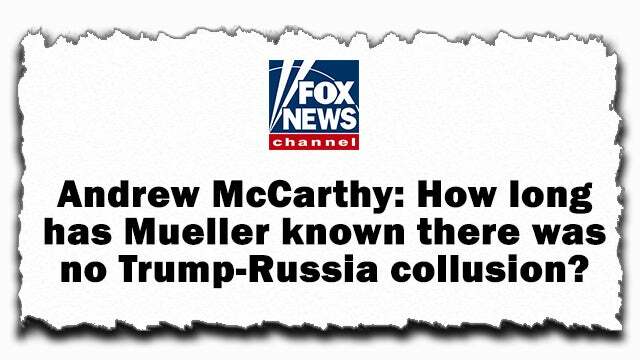 There wasn’t any collusion to find, folks! There was never any evidence of any collusion. That’s my point about not applauding the failure here. RUSH: Jerry, Flagler Beach, Florida. Welcome, sir, to the EIB Network. Hello, sir. CALLER: Thank you, Rush. Hey, I want to get right to the point. I believe that Obama spied on the Trump campaign and used their minions in the FBI and CIA, just the same way that they did with the IRS in previous years. They could get away with it because they could never lose the election and get caught, because they would control the Justice Department. RUSH: No, no, no. That’s exactly right. CALLER: So they used the classic Saul Alinsky tactic — redirection — by pointing all the fingers at Trump, by calling him evil. So nobody would believe anything they say, and the media carries their water, and they’ve proven that they just go after the Democrats’ talking points word-for-word. So it’s all been one joint, total scam and lie from the very beginning to discredit Trump. RUSH: Right. When Hillary loses, when Hillary loses, they have to do a total 180 and cover up what they do. Imagine, folks, if Hillary wins. Victor Davis Hanson a great piece on this I think yesterday at National Review or… Yeah. Think it’s National Review. Anyway, imagine if Hillary wins. Then all of these people, you know what they would have been doing? They would have been… Because what they did would have worked! Trump would have lost! And these people would all be going to Hillary Clinton saying, “Hire me! Hire me! I helped you. I did more for you than so-and-so did.” They would all have been jockeying for jobs, ranking jobs in the Clinton administration after succeeding in taking Trump out. But that didn’t happen. So they had to do a fast 180, and they had to start putting together a cover-up for what happened, because they expected to be in Fat City after Hillary won. Now they’ve engaged in all kinds of lawlessness that they can’t afford to have exposed. RUSH: Here’s Scott in Eaton, Colorado. You’re next. Glad you waited. Hi. CALLER: Rush, do you think the Mueller investigation cost the Republicans the House of Representatives and possibly some seats in the Senate? RUSH: Impossible to say for certain, but I don’t know how it wouldn’t be a factor. 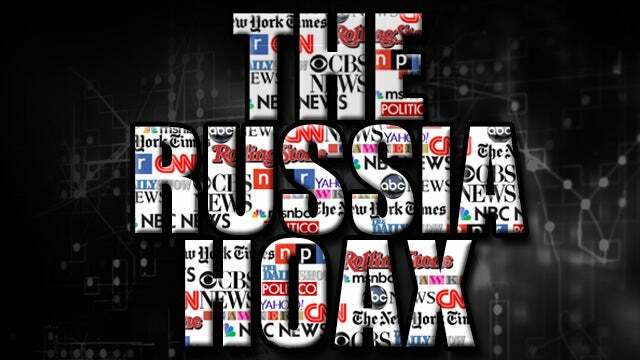 I mean, for two years the conclusion every day in the American mainstream media is that Trump is a traitor, is that Trump colluded with Russia. Even if people didn’t believe it, look at all the anger and distrust they might have worked up for the Republicans in general over this. CALLER: I can tell you it split Colorado so much that we lost everything here. RUSH: Yeah. There’s a lot of factors. In California there were five or six Republican congressional seats, House seats that were in Orange County that the Republicans won on election night and four days later they lost. Something called ballot harvesting was used. In off-year midterm elections, the party in power traditionally loses a significant number of seats. It’s really, really rare when that does not happen. But the temptation to vote for the first African-American candidate was too much to overcome. All kinds of people wanted to do it thinking it would end the criticism of America as a racist nation. It only made it worse. But whether you can say for sure that the investigation lost the House, impossible to say. But I think it clearly was a factor.